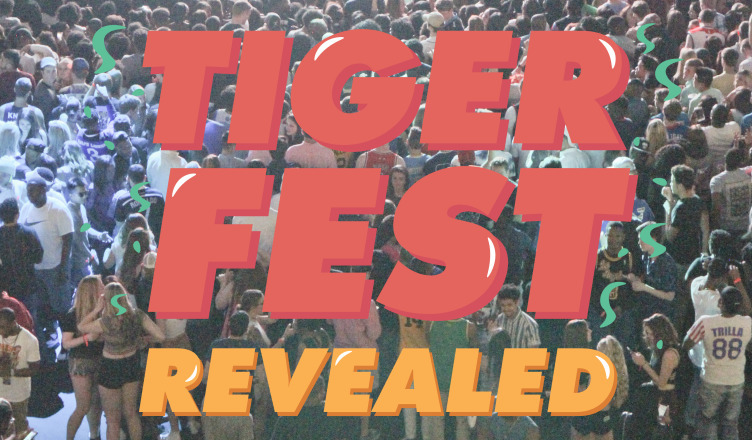 The Campus Activities Board took to Snapchat Thursday evening to announce the headliners for this year’s two-day Tigerfest festivities. The first day, April 28, will be headlined by country singer Chase Bryant, while Dreezy and 2 Chainz will perform at SECU Arena April 29. Kicking off in Lot 26, day one of Tigerfest is free to students. Like last year, day one will feature carnival rides, games and food trucks. Unlike last year, though, students over 21 years old will be able to enjoy a maximum of four drinks (including beer and Lime-A-Ritas) in a beer garden area sectioned off from the rest of the carnival. Student groups like the Le Belle and Allure dance teams, as well as Phi Beta Sigma, will perform between main sets. CAB’s Battle of the Bands winners DJ Gurf, Thunder Club and King Zell and Tay Harper will also perform. “We definitely wanted to get student groups involved just to show Towson this is their–our–Tigerfest,” CAB Assistant Director Raygene Taylor said. For Day 2, inside SECU Arena, tickets are $30 for the upper bowl and $35 for the lower bowl. The floor is open to 1,200 ticket holders. Students can also buy tickets for a non-student guest. Remaining tickets will go on sale to the general public April 7. The idea for this year’s theme, “good vibes only,” grew from a new (old) trend that CAB has adopted this year: Polaroids. Hours before CAB was scheduled to reveal the headliners Thursday night, twitter account @TowsonHorse leaked the announcement that rapper 2 Chainz, a Grammy award-winner, would be performing. The Towerlight was able to confirm 2 Chainz as the headliner just before 3:45 p.m. Thursday. CAB released the names of all the other artists just before 5 p.m.
“We were disappointed because we had a grand plan for the reveal. But, being CAB, this has happened to us before,” Taylor said. Some Students, including @TowsonHorse, expressed frustration with the reveal coming less than a day before tickets were available for pre-sale, meaning that students didn’t have time to save up once they learned about who would be headlining. “it’s so dumb. tickets go on sale 12 hours after we find out who it is and we don’t even know pricing yet,” junior Maria Sanchez tweeted. Through Babco Entertainment, CAB compiles a list of potential headlining artists by selecting from those that are available during Tigerfest weekend and who they can afford to pay within their $150,000 budget. CAB chooses which artists to bid on based on student responses to their annual Tigerfest survey. This year, Taylor said they received about 2,000 student responses. Since students usually vote for rap or hip-hop artists, CAB tries to find an opener that can “mesh” with that genre, which is why they booked R&B singer Dreezy, according to Taylor. Country received the second highest number of survey votes, Taylor said. “We didn’t have our annual country concert, so we definitely wanted to have a country artist,” Taylor said. Still, reactions to the headliners have been varied, with students asking why CAB books rap artists for Tigerfest.